I find myself at the extremity of a long beach. How gladly does the spirit leap forth, and suddenly enlarge its sense of being to the full extent of the broad, blue, sunny deep! A greeting and a homage to the Sea! I descend over its margin, and dip my hand into the wave that meets me, and bathe my brow. That far-resounding roar is the Ocean's voice of welcome. His salt breath brings a blessing along with it. ~Nathaniel Hawthorne, "Foot-prints on the Sea-shore"
A winter vacation on the beach even for this native Floridian is a treat. With blue skies, crystal clear green waters, sandy sea shell laden shores, cool breezes and ample salty air the beach is quite possibly my favorite place on earth. 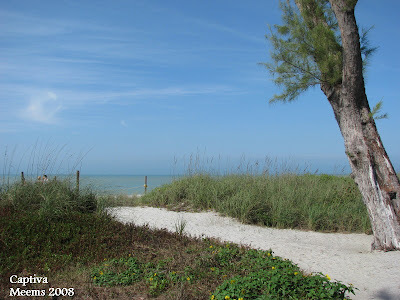 Hubby and I spent a mini-vacation of sorts on Captiva Island- one of the many islands off the west coast of Florida. 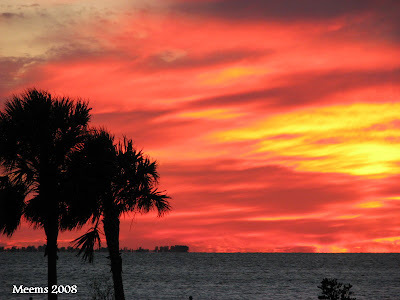 There is so much to do on Sanibel-Captiva... two islands joined by a short bridge. People come here from all over the country to view and photograph the wildlife- especially the birds. 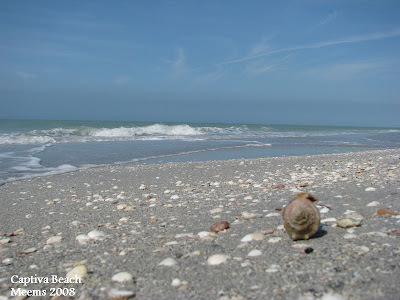 Sanibel-Captiva has done a marvelous job of conserving most of the island in its orginal habitat. The foliage and plant-life is rich, dense and every nook and cranny oh so lusciously tropical. There are so many great places to eat it is taxing to decide which one to enjoy. Restaurants with live music and open air, on the beach seating offering outstanding menus. The sounds of waves lapping the shore being the first thing we heard each morning and the melody lulling us to sleep each night. Our cottage was on the gulf side of this narrow end of the island while only a few steps away the intracoastal waterway easily accesible. 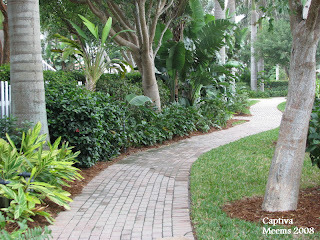 We chose to walk almost everywhere for the scenic value and to get the most from the "island feel". 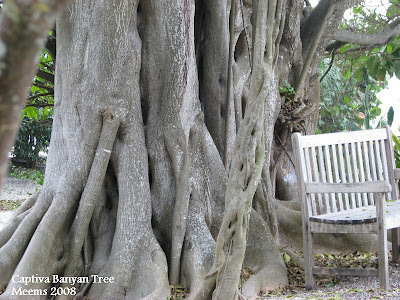 One of the beautiful sights of south Florida is the remarkable Banyan Tree. This one just outside our little cottage. 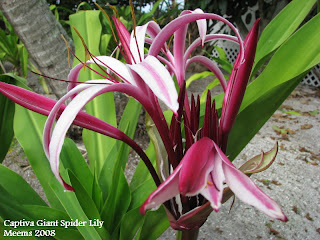 Some of the blooms surrounding our beach get-away included these magenta infused Giant Spider Lilies. 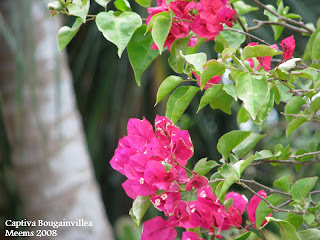 ... and the ever brilliant fuschia Bougainvillea vines growing everywhere. 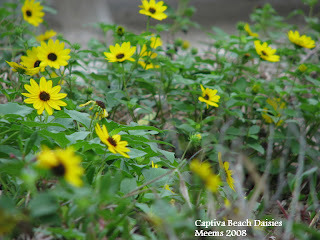 Beach daisies growing wildly along with the sea oats and morning beach glory. 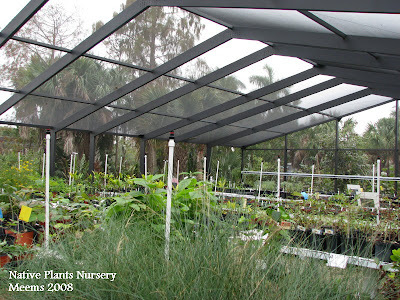 We visited the Sanibel-Captiva Conservation Foundation which happened to house a Native Plant Nursery. How convenient for me! Recently I've been adding to my garden more native plants. I picked up a few from my wish list while here... The American Beauty Berry and Blue Porterweed are currently waiting to be put in the ground at hoe and shovel. It just wouldn't have seemed right for me to come home without a weekend garden project to look forward to. Four days never seems long enough to be in such a heavenly place. Nevertheless, I am grateful for the glorious time of relaxation and rejuvenation. To top it all off on our way home, God painted the sky with a lingering, vibrantly breathtaking sunset. Hubby pulled off to the side of the road for me to capture it on camera. As I finished snapping the intense hues of orange and yellow to the west I turned to my right and captured the Sunshine Skyway Bridge with the eastern sky of pinks and lavenders as its backdrop. Stay tuned for my post of the bird life on Sanibel-Captiva. Great pics as always! 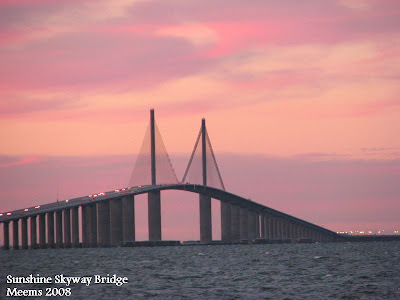 Of course I love, love, love the sunset picture and you captured the Skyway. Sounds like y'all had a wonderful time. It even looks like the weather cooperated. WoW!!! Those sunset shots are AbFab!!! I forget... what camera are you using now? I'm going through the same thing you did when you first got it. I'm learning, slowly but surely. Jane: Thanks. We did have a blast- so much to do in a short time- the weather was very blah Friday (just hazy and drab)but we didn't let it bother us... absolutely beautiful on Saturday. sophie: The sunset lasted for so long and it was a brilliant sky everywhere we looked - I thought for sure the whole world could see it! Sanibel Captive is my favorite place in Florida. I never been there in the winter. Wow, just what I needed to see on this cold (single digit cold) day. It warms my bones to see this. The quote is perfect with your picture at the beginning. Lovely photos, meems ... thanks for sharing your balmy vacation with the rest of us northeners stuck here in the snow with freezing temps ... you've help thaw raw bones! Yes, it did my heart good to see all this warmth and colour--when we're dipping back into the fro-zone! Glad you had a great time, and thanks for sharing such wonderful photos with us cold northerners. What a refreshingly warm post - what beautiiful blooms too. 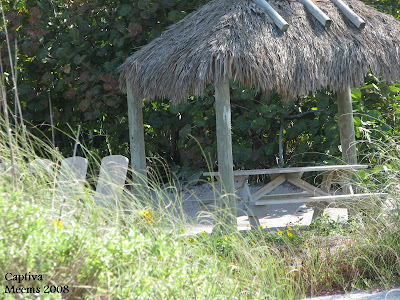 I am looking forward to seeing your post on the bird life on Sanibel-Captiva. Rusty- I can see why! It had been a few years since we were in San-Cap so our love for the islands were renewed as we soaked in their charm and beauty. lisa: So happy to help with the warming process. :-) Some days I wish your cold weather would slip down here to give us a touch. joey: We do like to get away in the winter with the rest of the "snow-birds" who are enjoying our great state because there is nothing like a florida winter beach.Thanks for stopping by to enjoy it with me. 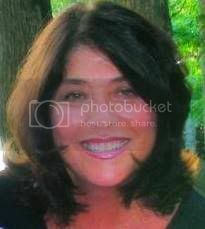 shirl: Thanks - I'm still working on the bird post- so stay tuned. Two of my grandchildren will be spending the weekend with us so YES, we will count our birds. It will be a good project for us to do together. I'll pay a visit to your site again to spruce up my memory on the rules. Great idea... thanks. 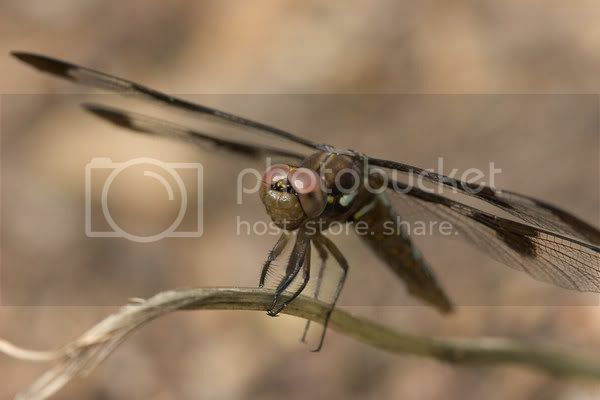 More beautiful photos ... 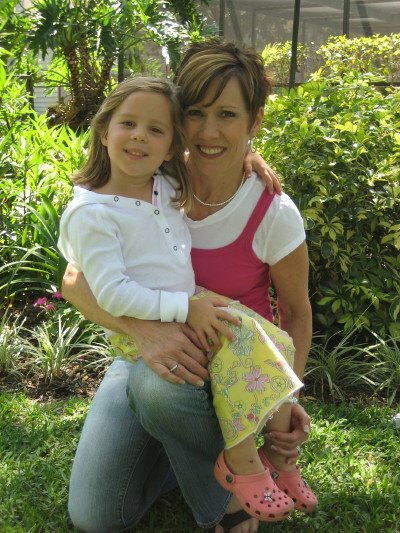 I have enjoyed soaking in the beauty vicariously through your blog! As I looked through your beautiful photos, I came to the bridge and as soon as I saw it, I thought to myself, "I know that bridge!" I've been over it many times. Love it. 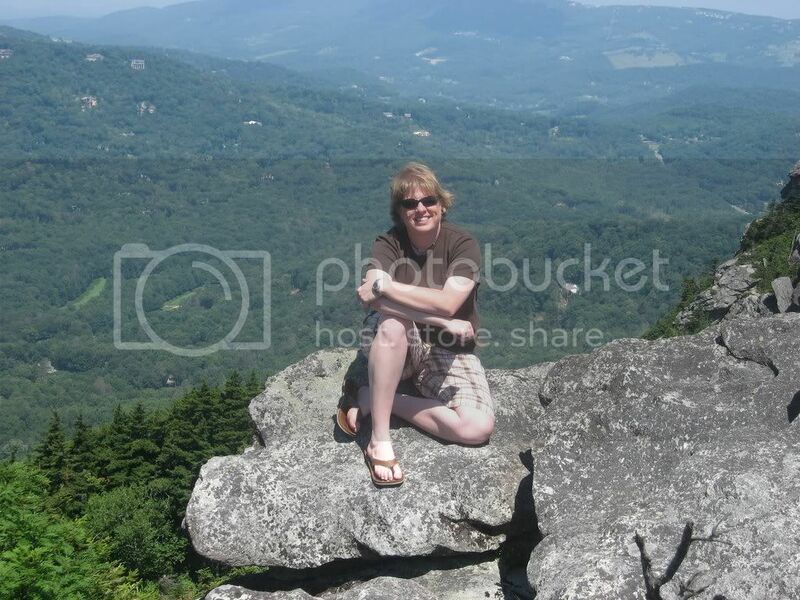 Your photo is gorgeous! Just looking at these lovely photos makes me feel relaxed!